Does Energy Efficient Siding Exist? Your home’s siding—it seems like a perfectly obvious place to look for energy efficiency updates. After all, cladding stands as your first defense against harsh winds, heat, and other weather conditions that affect your house’s overall energy performance. Unfortunately, however, most siding doesn’t really offer very high efficiency, especially compared to the protection available from other green materials. 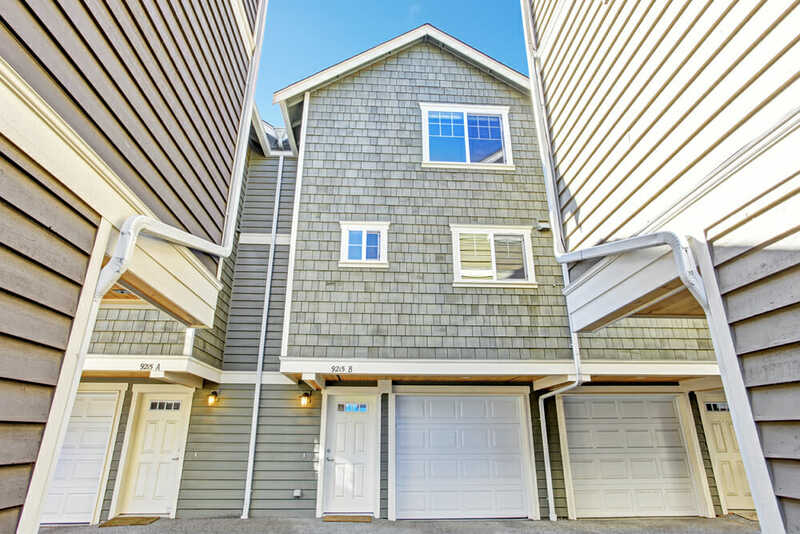 The real key to lowering heat gain and loss through your home’s outer envelope is to combine more efficient cladding with quality housewrap and rigid foam insulation. Still, some siding types definitely demonstrate better energy performance than others. And purchasing a higher quality siding certain won’t hurt your home’s overall energy consumption—indeed, it will only reduce the amount of fuel you need to maintain a comfortable temperature. Here are the greenest options on the market—and how to use them to garner optimal energy savings. When it comes to keeping out the weather, your siding doesn’t work as hard as the exterior wall of your home. The construction business uses a professional measurement, known as R-value, to rate how well a building material insulates its interiors. The higher R-value a material has, the better it is at insulating. And while building codes generally require a R-value of 13 for a home’s walls as a whole, siding alone typically rates less than a 1 on this scale. So it’s definitely not the most protective part of your home’s exterior. That said, however, definite differences exist among the various types of cladding. For instance, while a brick veneer will only get you an R-value of around 0.11, vinyl siding typically has a measurement of 0.61. Specifically, here’s how the different types stack up against one another. These differences help explain why stucco is so popular among homes in the South, where air circulation counts for a lot more than insulation. Whereas in the North, vinyl or wood make better options, since they work harder to protect homes from the elements. However, bare in mind that a material’s energy performance isn’t the only factor to consider when selecting a cladding for your home. For instance, while wood may possess superior insulation, it’s also prone to warping, making it one of the less durable choices. Previously, we’ve focused mainly on standard siding—that is, the kind without insulation. Insulated or thermal siding, on the other hand, includes a permanent foam backing that works to fill in the gaps between the siding and the wall. That improvement certainly raises the R-value of your exterior cladding. In fact, particularly energy efficient offerings may even receive ratings as high as R-4. Although that number still comes in well below code for walls as a whole, you’ll likely see significant improvements in energy performance and comfort. In particular, thermal siding helps to insulate around wall studs, which make up around 25 percent of your home’s walls. Wooden studs can contribute to your home’s heat loss and gain, since they’re such poor insulators themselves. Vinyl is by far the most popular material choice for insulated siding. However, you can also purchase insulated steel, aluminum, or fiber cement as well. According to some experts, these products could save you upwards of 20 percent on your annual energy bills. 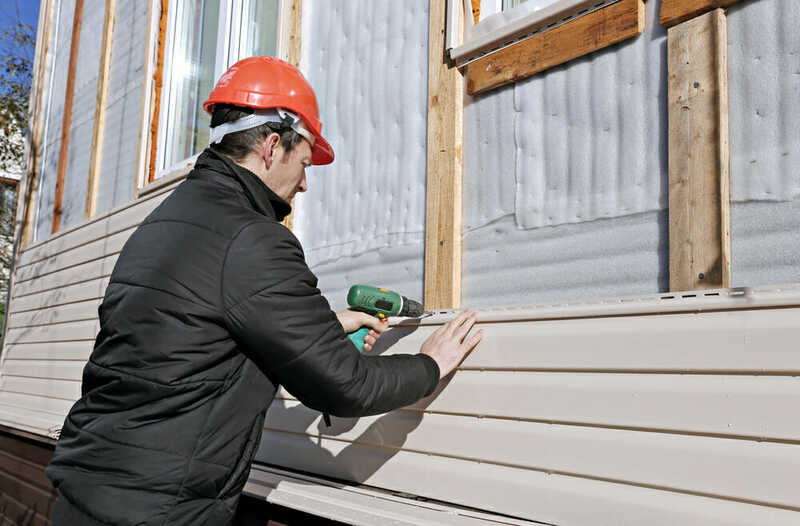 Additionally, foam-backed siding better withstands winds, impacts from storms, and other damaging weather events. And it’s rated more highly for noise reduction, as well. Really, though, high R-value materials and insulated siding won’t do you much good if the surface below your siding isn’t well shielded from the elements. Replacing your home’s cladding offers the perfec opportunity to install a housewrap, as well as a separate layer of rigid foam insulation against the foundation walls. Both will work to reduce condensation and moisture in the walls—which, in addition to improving your home’s energy performance, will also limit your risk of mold infestations in your wall cavities. In fact, after installing insulation, you can expect your wall’s R-values to improve significantly. In some cases, they may measure as high as R-20 or more, which is very, very good. As a bonus, when you add separate insulation to your home before you install new siding, you can take advantage of a tax credit from the Department of Energy, as long as your sheathing meets the program’s R-value requirements. That’s in addition to the five percent decrease in your yearly energy expenses. When home improvements translate to energy savings, it can definitely take some of the heat off your pocketbook!